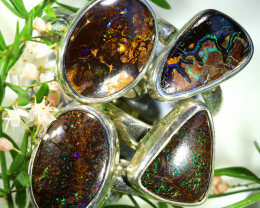 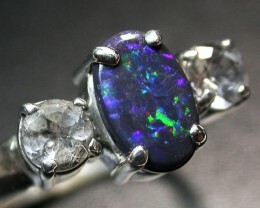 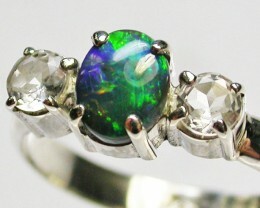 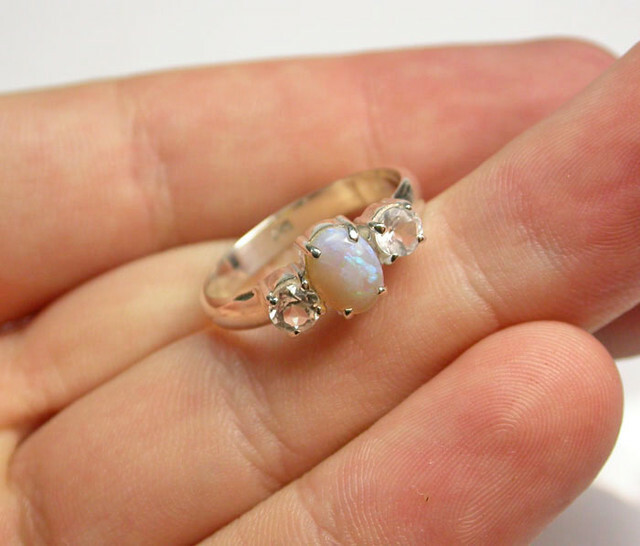 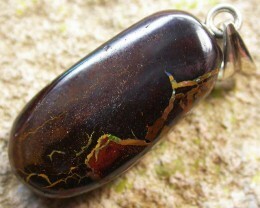 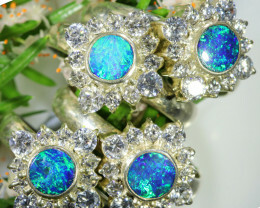 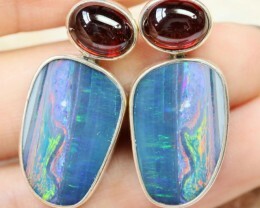 This is a natural opal stone from Lightning ridge in nsw-the home of black opal. 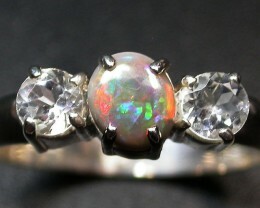 It has been well polished and prong set in silver. 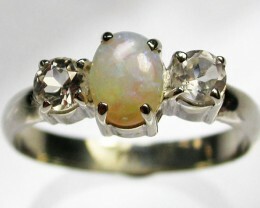 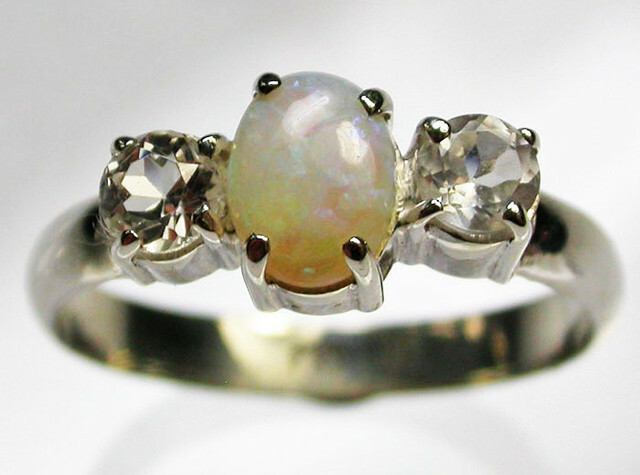 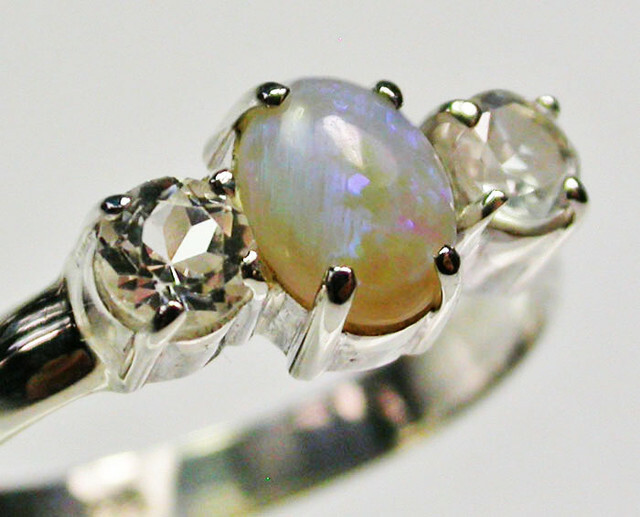 There are two natural sparkling Australian Topaz on each side to enhance the ring. 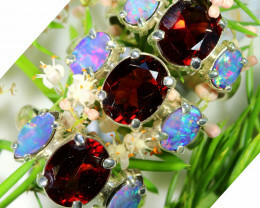 The workmanship and quality is excellent.Direct from factory. 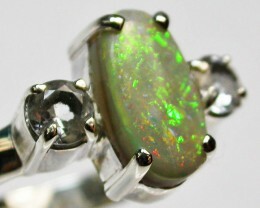 Weight of stone and silver: 14.50 cts.